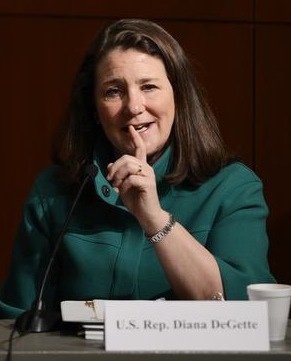 Anti-self defense zealot Congressman Diana DeGette (D-Colorado) tells a senior citizen who is concerned about self defense that he is probably going to die anyways. But the stupidity doesn’t stop there…. She has no idea that a magazine can be reloaded. Yes you read that right. Even after having a chance to check, she still does not understand that ammunition clips (which are different from magazines) are also re-loadable, as anyone who has ever handled a firearm knows very well. It is also apparent that no one on her staff under stands that either. This entry was posted in Dirty Tricks, Firearms, Treason, True Talking Points and tagged current-events, diana degette, politics. Bookmark the permalink.